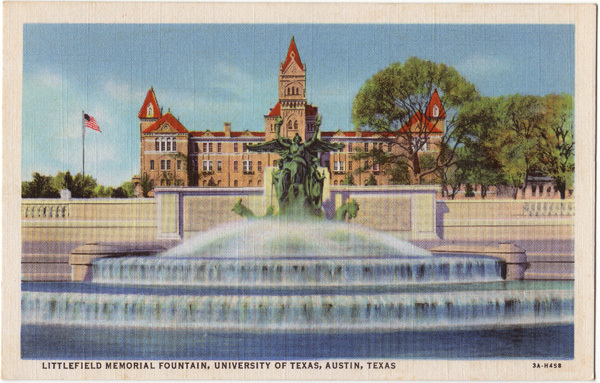 This beautiful Fountain is the central part of the quarter-million dollar Littlefield Memorial comprising the entrance to the University Campus. The figures were sculpted by Pompeo Coppini, and the three large pools are of Texas granite. Publisher: C.T. Art-Colortone, Made Only by Curt Teich & Co., Inc., Chicago, U.S.A.